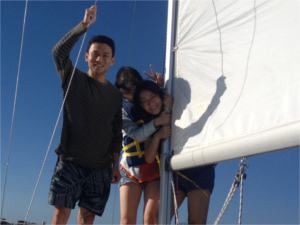 Sail by day, enjoy the night! If you're interested in the highest level of personal attention and instruction this is for you. This course is on YOUR schedule. Your instructor will pick you up at the airport if needed then introduce you to your 30' floating vacation home so that you can immediately feel comfortable. 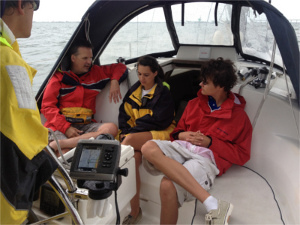 Each day our USCG licensed and ASA certified instructor will provide you the best individual instruction during the day then depart the sailboat for your privacy and enjoyment in the afternoon when you dock. 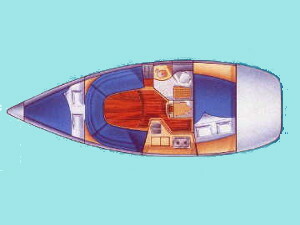 ASA 101 is typically sailed on the Hunter 23.5 while we sail ASA 103 and up on the Hunter 29.5. After your class work is complete you will get to immediately test out your new found skills by "chartering" the sailboat for your final day(s). You leave with the certifications major charter companies look for and chartering experience in your logbook! 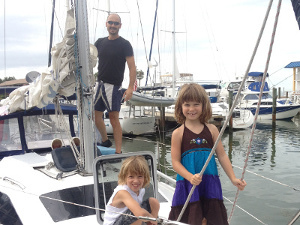 Couples may bring their children along at no additional cost to enjoy sailing or learn together as crew. ASA certification costs for children additional if desired. Resort prices are for those who stay at the resort or have other lodging locally. Please note that ASA certifications are "stair step" requiring previous ASA certifications a prerequisite. Local sailing school and other sailing educational programs such as US Sailing or RYA are not acceptable as ASA courses even if the curriculum is similar. 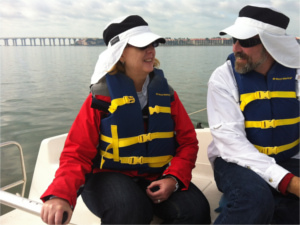 Let us show you how easy, safe and fun it is to upgrade your sailing skills! Our sailboats and classroom are based at the Magnuson Hotel Marina Cove Resort. Many of our Sailors stay there before, after or for a Resort-based courses. They offer us an amazing nightly rate year-round. Plus you have use of the all the facilities during your class. Forget traffic and the hustle-bustle and enjoy an adult beverage together or while the kids play in the pool or at the beach. It's all here! Reverse-cycle air conditioning to provide comfort at dock. Dinghy and outboard for shore, water exploration or transport to other boats. The safety equipment you can’t afford not to carry.